Mere Humnawa is an Upcoming Zindagi Tv Serial which is going to air in India from 13th,April,2015 .In Pakistan the title of the show is 'Mere Humrahi' and is aired on Ary Digital Pakistani Tv Channel in 2013.This New Television show is directed by Furqan and Written by Sana Fahad . Mere Humnawa tv serial is produced by Iron Line and HuzuProductons.Zindagi Tv is ready to Launch this show from 13th,April,2015 on 07:00pm. 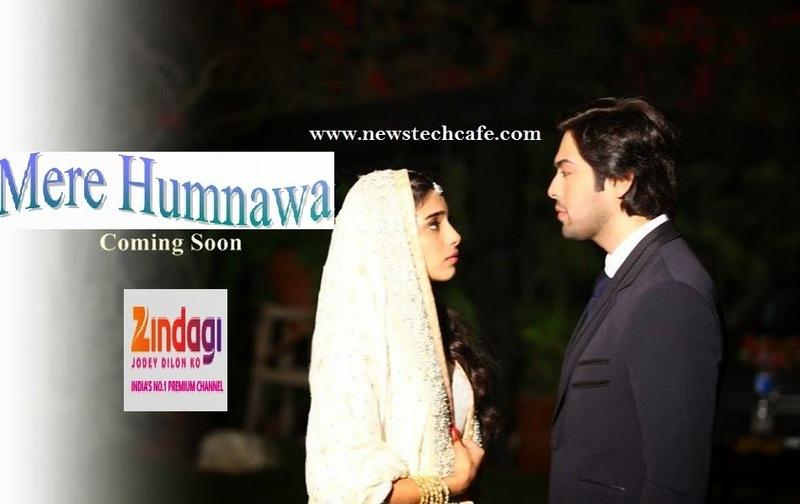 Mere Humnawa is a Pakistani Serial which is going to be broadcast in India on Zindagi tv Channel.This Tv Show is a Romantic Love Story of Haniya and Ahmed. Ahmed brother Ahad refused to Marry Haniya a Day before their wedding. So ,Ahad's Elder Brother Ahmed decided to get married to Haniya to save 2 families and to save Haniya's Life. Ahmed helps Haniya to come out from Depression.